I have a card for you today that I made for a friend of mine. we had many of those dreamy summer days together, dreaming of our futures. We met it seems, when we both needed a friend, we were "wall flowers,"
& we just hit it off from there. We were seen together all the time & were told we even looked alike. We even liked the same things--art! We just had a blast together! & we went off to college together. & then everyone noticed us. Isn't it amazing what one friendship can do for you? "Yes, he did look like her, more than his daddy,"
And I remember, the sweet gifts she gave me in return....so thoughtfully chosen. "according to God's Will"----yep, she married him! Her father, who is now passed was a wonderful example to me of what a "good father" was like. He was a kind, gentle & patient man. (her mother had passed when she was young) with my mother. Needless to say, we stayed sister's only in our friendship. Over the years we lost touch, but not long ago were able to find each other again & it has been like we never really parted. Although, we're older & miles are separating us, we share our lives with each other most every day, & I thank the Lord for a chance at being her friend once again. God has given her back to me & we are pledged to be "Sisters/Family" to each other to the end! She is my "Dearest, Bestest Friend!" I do send her cards, but sometimes life just gets busy, so I thought it was time to send her another! It is nice to know that she treasures my cards. 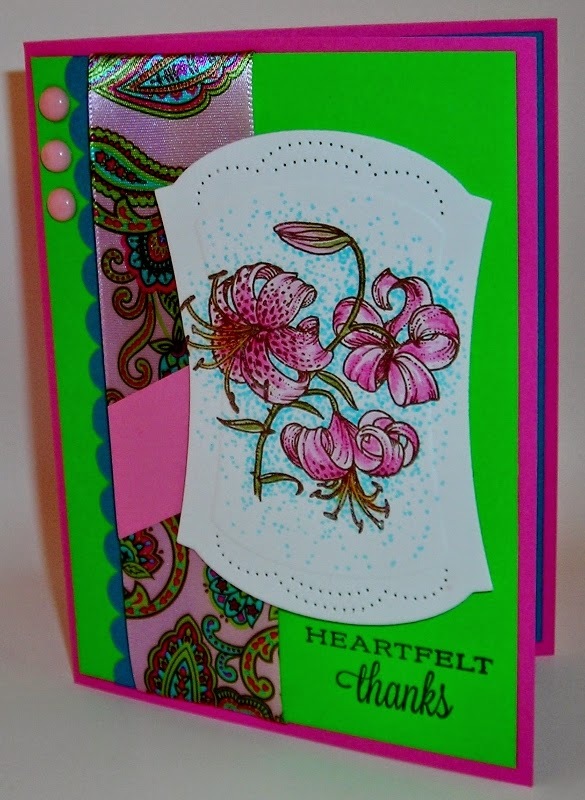 This card was made with Flourishes- Happy Thoughts, by Sam Pickard. another beauty by Sam Pickard. This is my first time using the set "Happy Thoughts." it was in the store being offered to all. 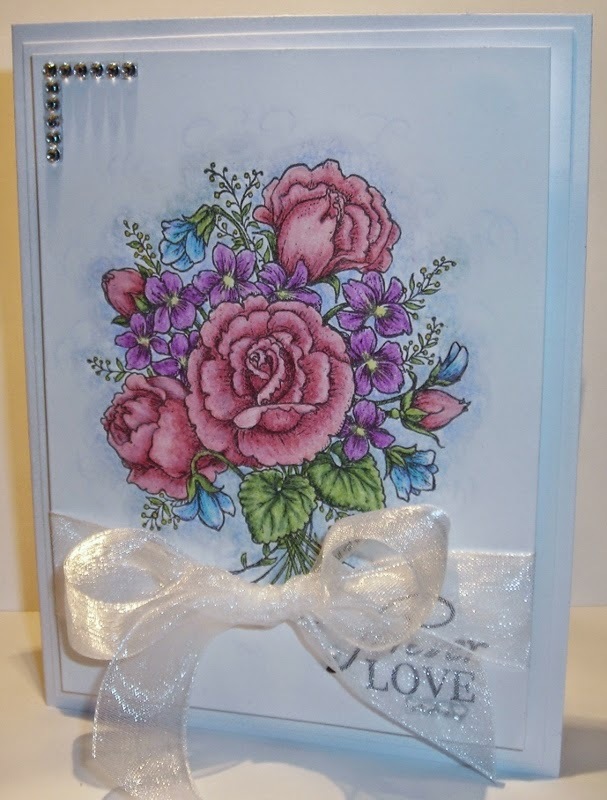 Flourishes is The Classic Stamping Store that offers you images that are timeless. 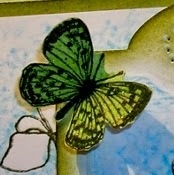 Maybe, you noticed my green "butterfly?" Well, I was thinking of a moth we discovered when we first moved here. You don't think of moths as being beautiful, but this one was! I'm guessing it was a "Luna Moth." We haven't seen any since. 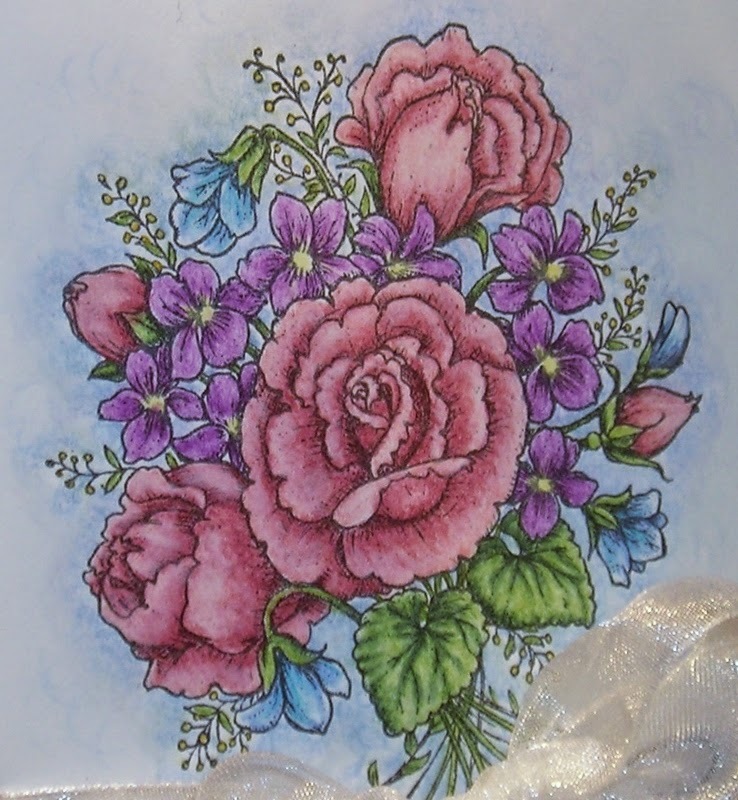 I colored this lovely with Faber-Castell Artist Crayons & added Stickles. This is a close-up using Stippling. giving a blue cloud around my flowers where I wanted a deeper blue. Then, I used my Letraset Water Color Markers & stippled more blue. Faber-Castell Pitt Artist Pen-white 101. 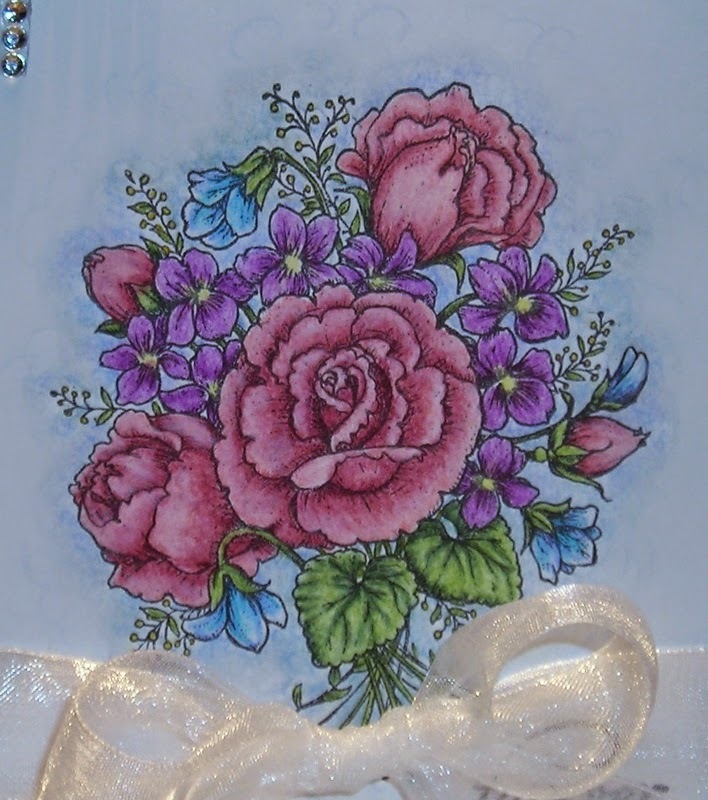 I did the same with the flowers, leaving off the White Pitt Pen, of course with a different color. 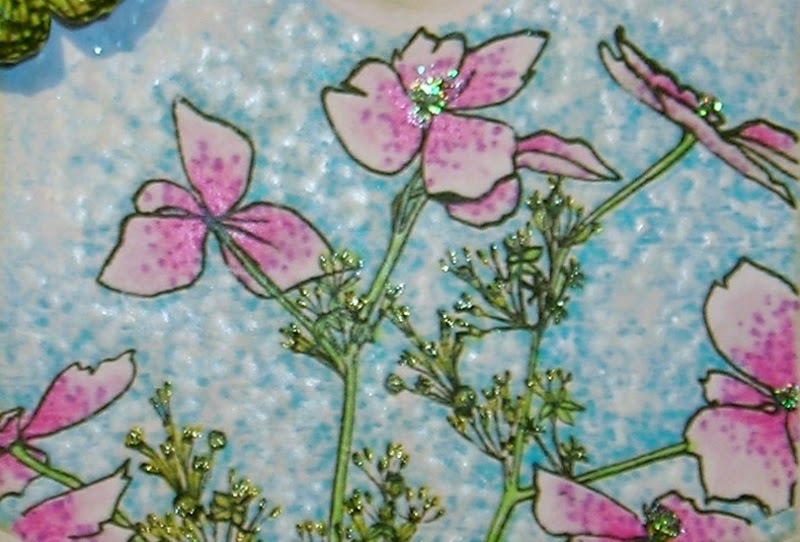 & the Glitter Gel Pen on the smaller green little buds. You can see I did Stippling all over my card. 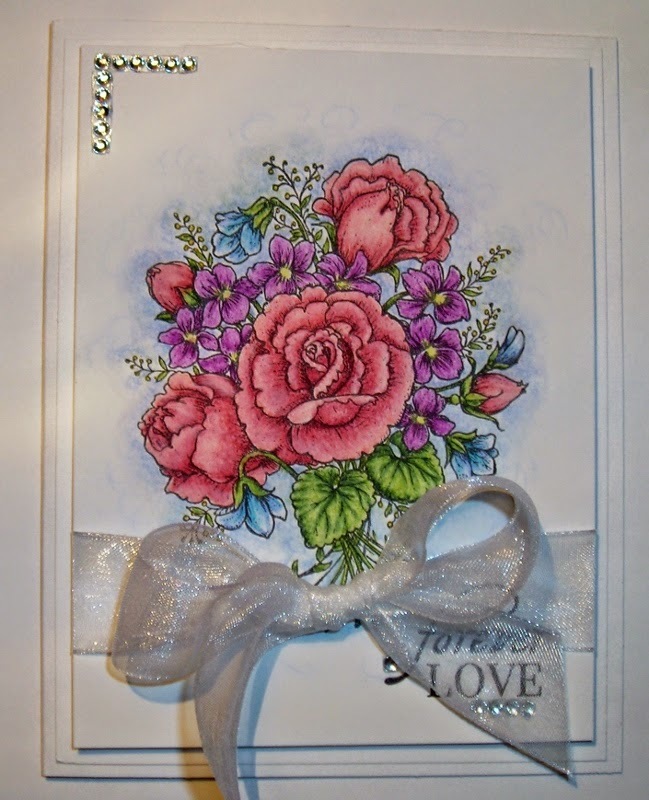 & give it a textured look with Stippling. 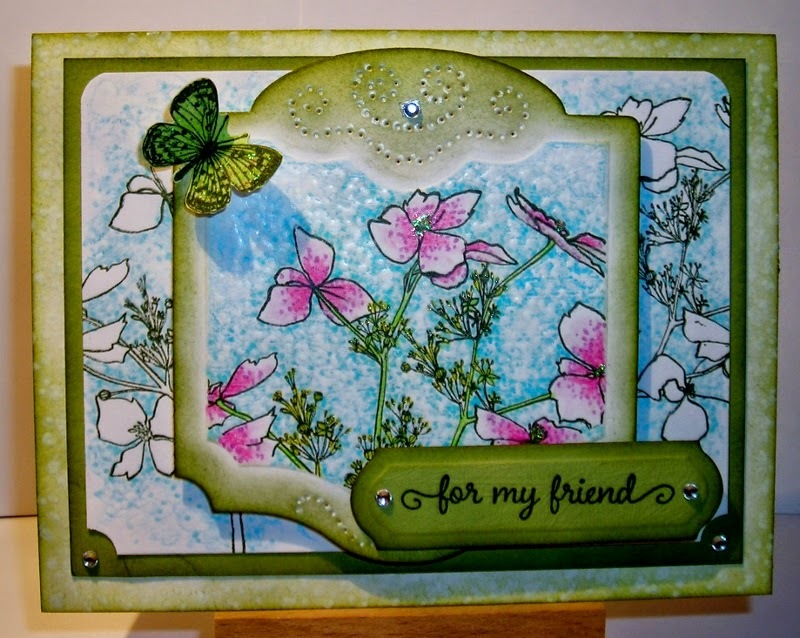 You'll notice I did the "Spotlighting Technique" too with Flourishes- Classic Frames Template Die. 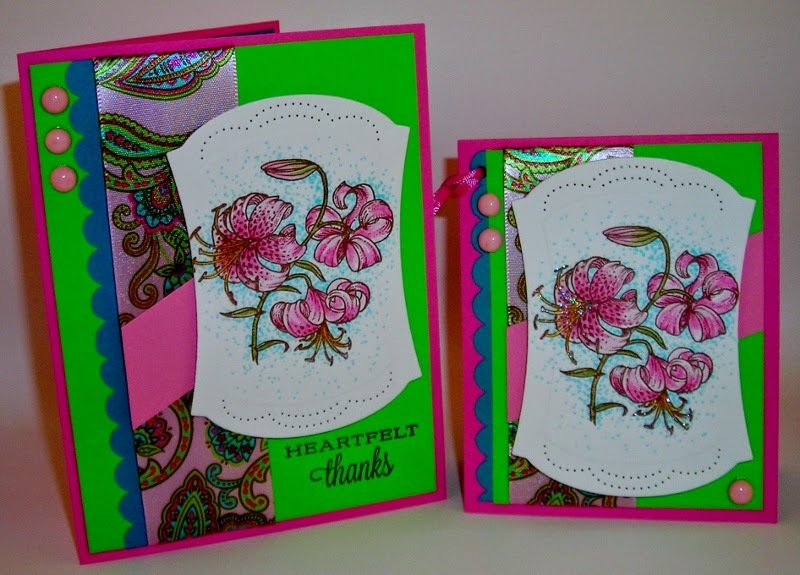 Sponging the edges & using Flourishes- Happy Thoughts image. 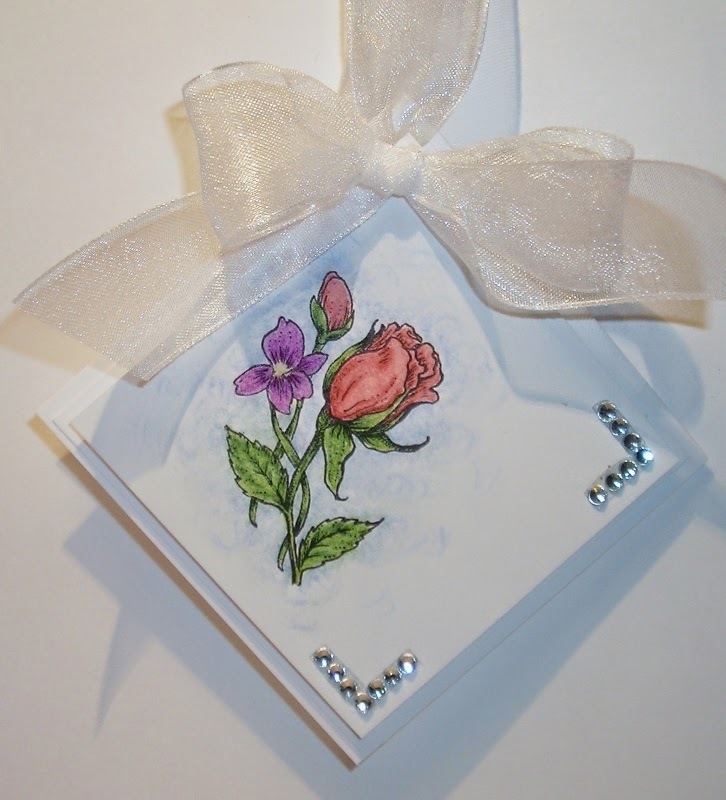 & Inkssentials Opaque White Pen for the stems & delicate lines. 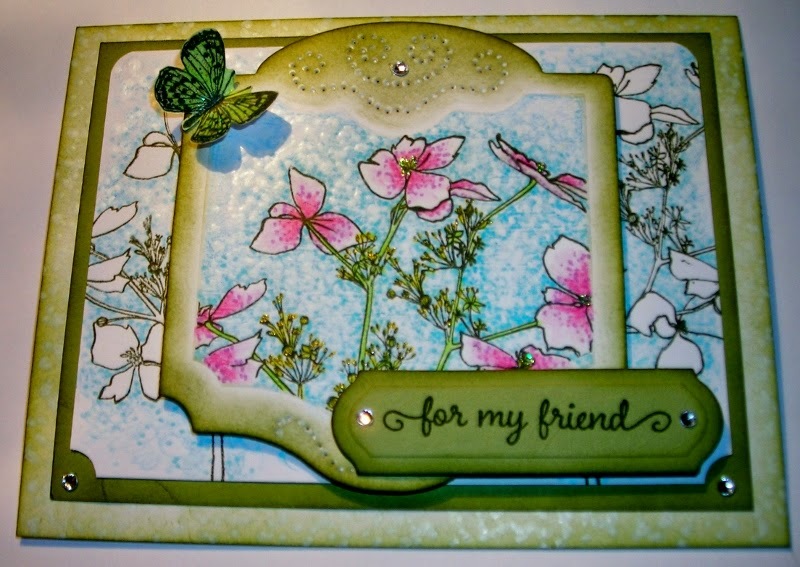 The sentiment is from Flourishes- Friendship & Flowers. 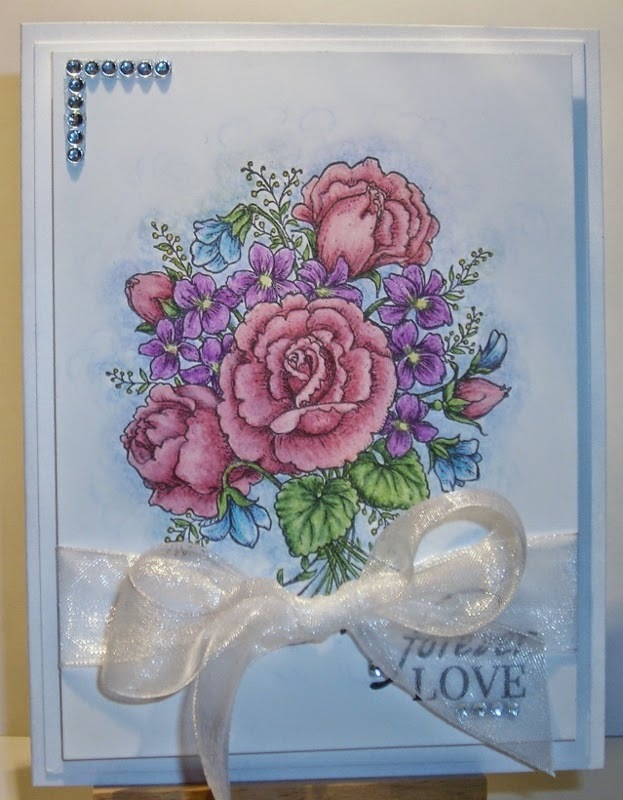 Don't forget a matching envelope to tie your design all together. The recipient will know that something special is inside! a rarity that is for sure these days with all the technology! The Challenge this week is to stamp your background, SOS#153. Due by June 2nd, 11:55 p.m. The Challenge this week is, Winged Things-A2 Cards. Two posts in one week? Yep, I'm doing pretty good here. After posting my last post, "Forever Love," I thought I was happy with it. I wanted to finish off the inside of my card for sure. I wasn't sure at first what I was going to do, but it just came together. A good nights rest can do wonders! You can't see it too well with the sheer ribbon, but isn't that just like life? You can't see if the love you have chosen to marry will last forever! Anyone can have a "True Love Story." Just find someone who has Godly values, make your commitment to each other & hold that commitment dear, no matter what things come your way! Never put that commitment on the shelf for anything or anyone else! Put God first & your commitment to your spouse, & things will work out for the best! 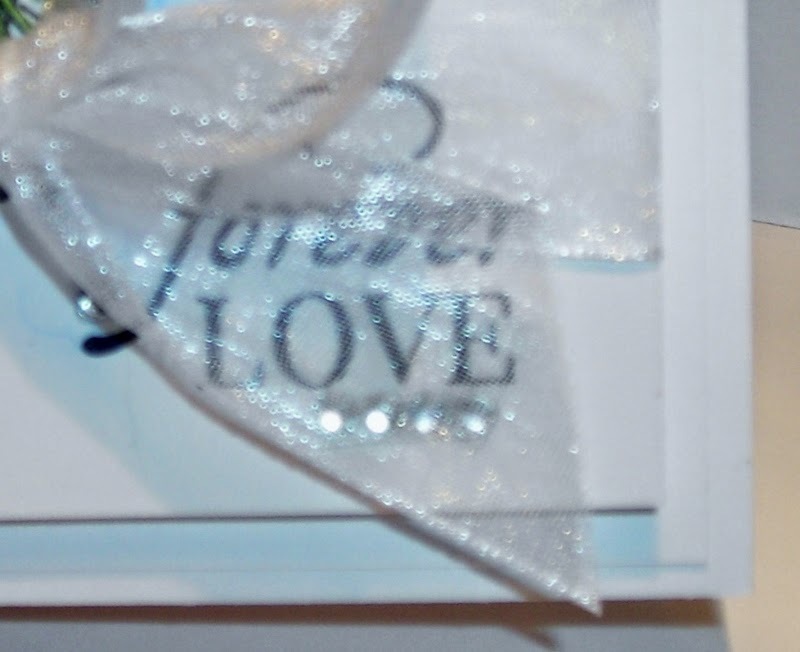 Here is a Gift Tag I made for our kids to add to their gift for the Bride & Groom. & tie it on their package with the pretty ribbon on the tag. The image is from Flourishes-Roses Are Red. Here you can see I popped the image up on dimensionals. I do love how these came out. whatever it is that they choose to give. Always put a card of some sort inside with your gift telling who it is from. When my husband & I were married, we enlisted a couple of guys, who will remain nameless, to load the gifts in our car, for when we departed. But, not until several tags/cards had been removed. This guy thought he was "helping" to keep them from getting lost. Yes, I did get some wrong when I sent out our Thank You notes. Only one woman let me know what she had actually given me. & it usually happens when it's a "big day!" My marital advice to this couple? I read something recently, where it said to, "finish well" whatever it is you're doing. People remember you when you finish well, not when one thing goes well for awhile, it's the whole race that counts. & don't think about all that will come against your union. There will be many things that will come against your marriage! Remember when you're going through these things, that you are in spiritual warfare. & keep your family intact! If it isn't hard in the beginning, it will get hard. Children, finances, extended family, etc., will all take their tole on your marriage. That should be our goal, to grow old with each other as the Lord would have us to. Seeking to do things God's Way will help you go far in your married life. God will honor this decision too. So, "Finish Well" this new life you're beginning & your love story will never end! He doesn't like it when you wake him up though! 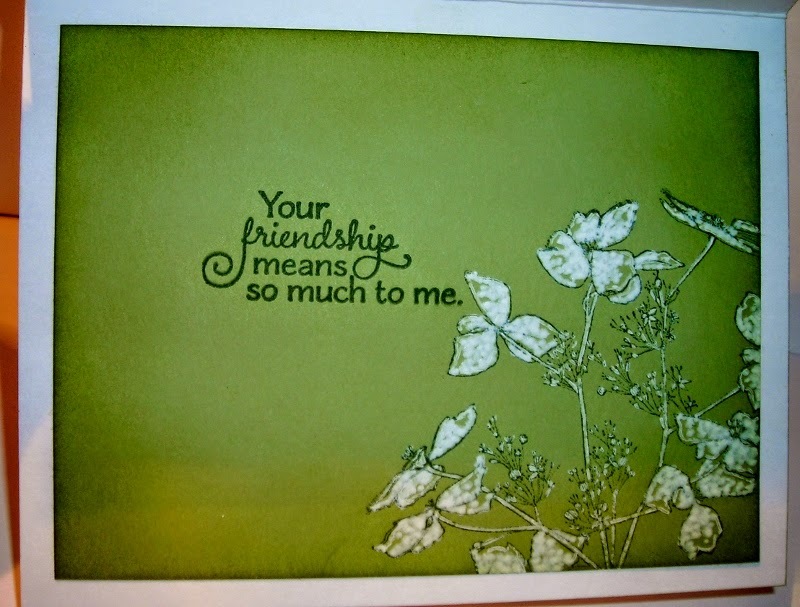 But, I wanted to share a card with you today. With Graduations from College usually come Weddings. 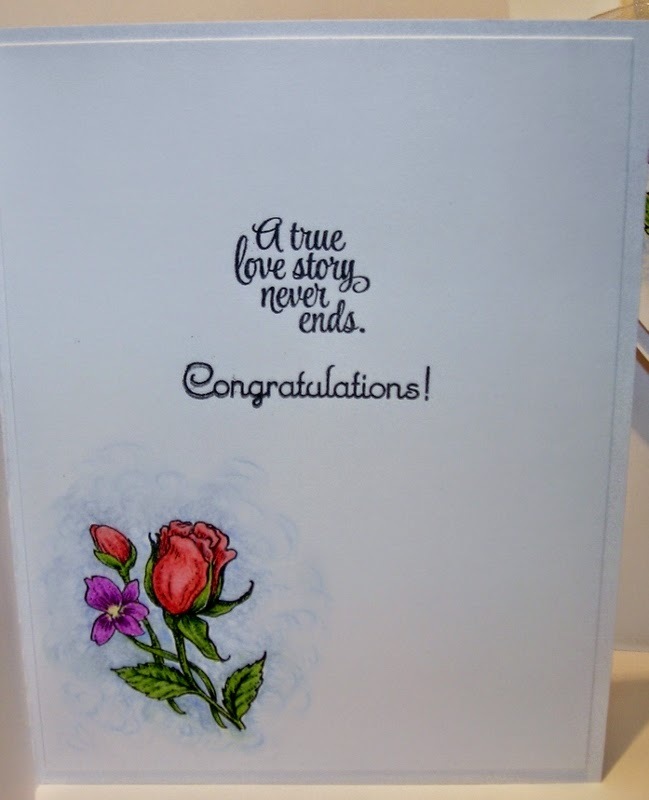 Some of our son's friends are getting married, so this is only one of the wedding cards that I'll be doing. 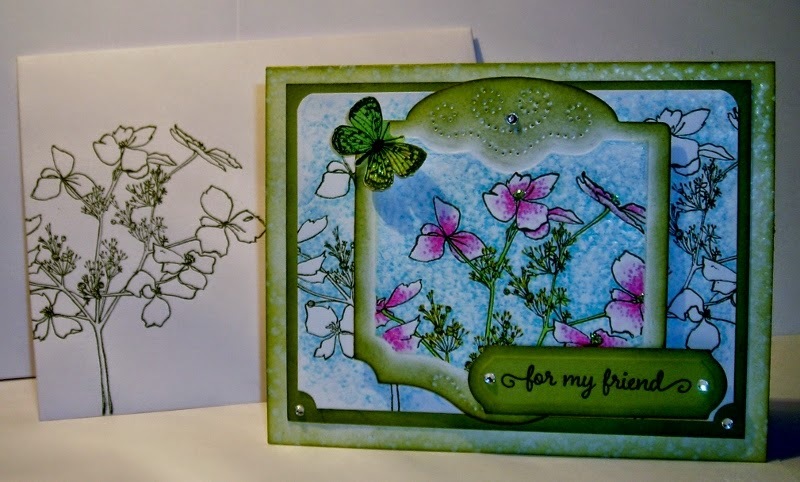 I looked through my stash of Flourishes stamps & came up with a few sets I could use. 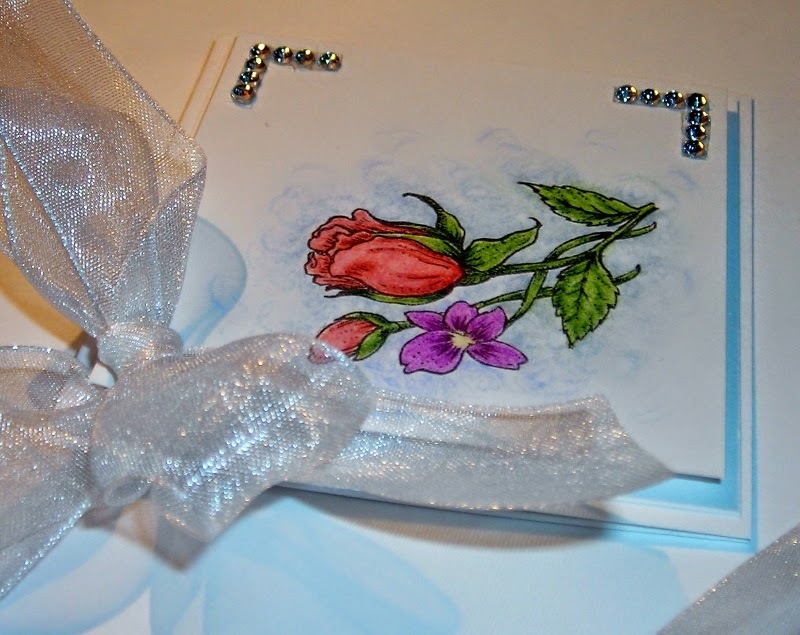 I used Flourishes- Roses Are Red & Flourishes- From the Heart. I also used Faber-Castell Pitt Pastell Pencils to color my image. but this image cries out to be colored! that my husband surprised me with for Mother's Day! These pencils are chalk pencils. The nice thing is they don't leave a lot of dust. I used a Gray Paper Stump for blending the Pastells, along with a Sanding Paper Block to keep my colors from becoming muddy. this card is all about the image! All comments are welcome & make me smile! 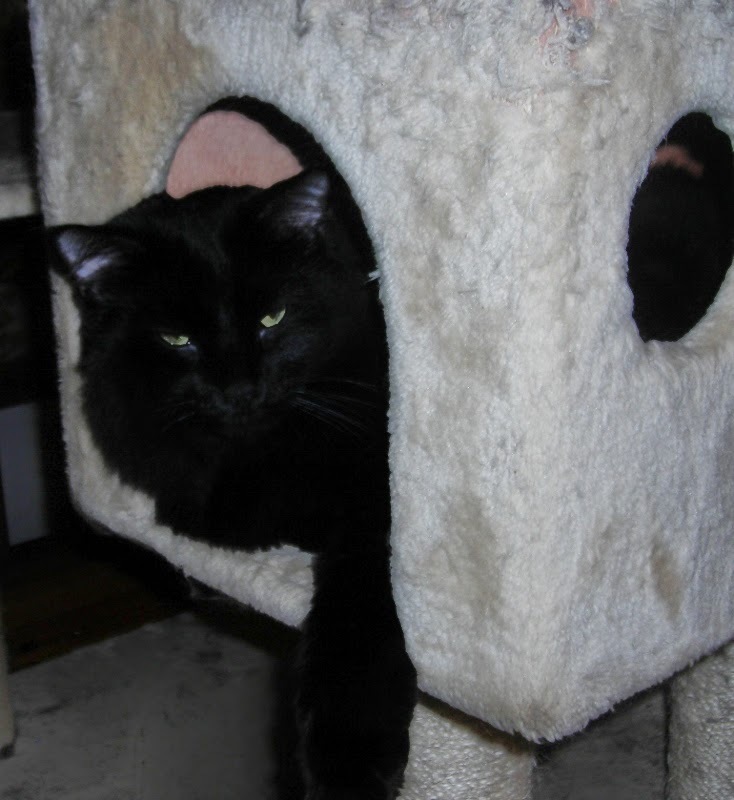 Recuperating & a CAS "Thank You!" Oh my, Thank You if you said a word of prayer for us this past week & weekend! It was a busy week of moving our kids "stuff" home from college on two different days. for as many times as they've done this type of thing....NO, not at all! We felt thrown to the wind with no one directing traffic & no where to sit when we finally made our way into where the Graduation would take place. It was everyone for themselves. Lots of chairs "saved" & no one filled them. Even wearing low heels didn't help. But, it was a SPECIAL TIME for us & we tried to enjoy it to the fullest, even with aching feet. So, "Thank You" for your prayers this past week & weekend! 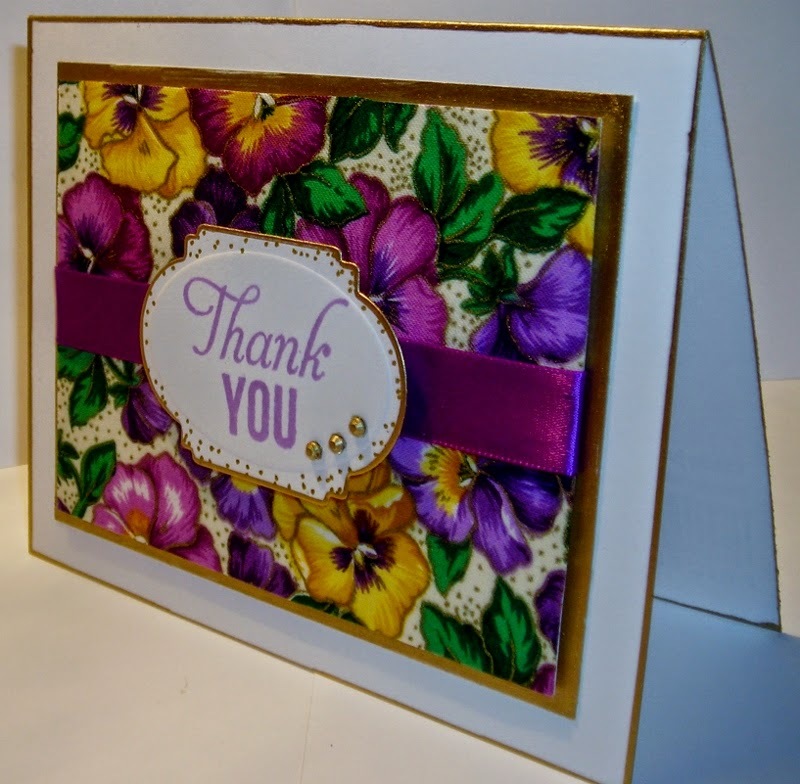 Today, I have a CAS "Thank You" card to show you. 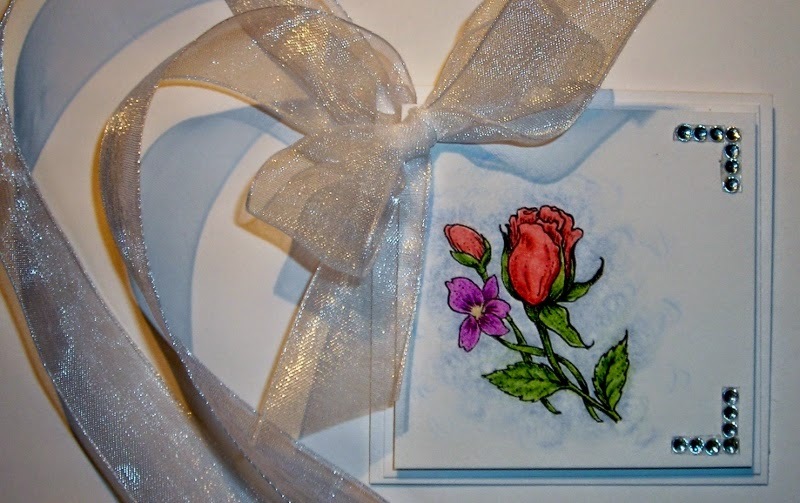 A simple way to do your cards a little different, use up material if you're a sewer, or just add a different feel to your cards. It is also nice to use Material if you're lacking the right Designer Paper. 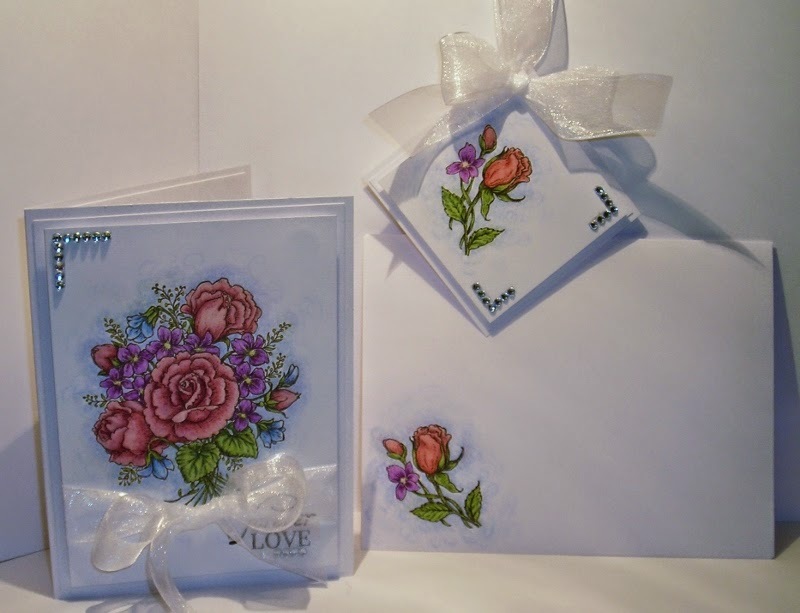 Challenge # 7- Ribbon, Lace & Twine, Oh My! & make sure you iron it first thing. Ironing the material will make the material easier to work with. 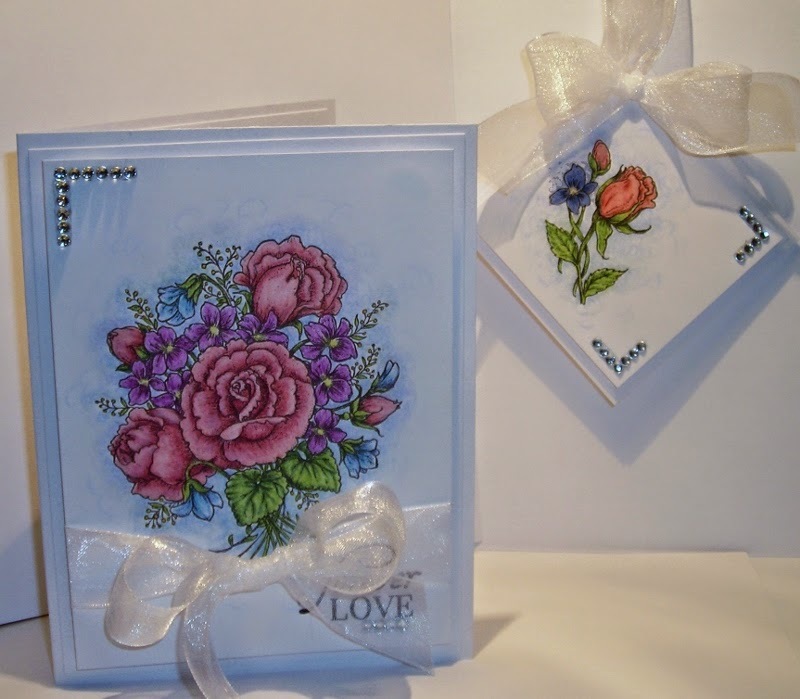 I've made several cards & thought this would make a nice gift set too. 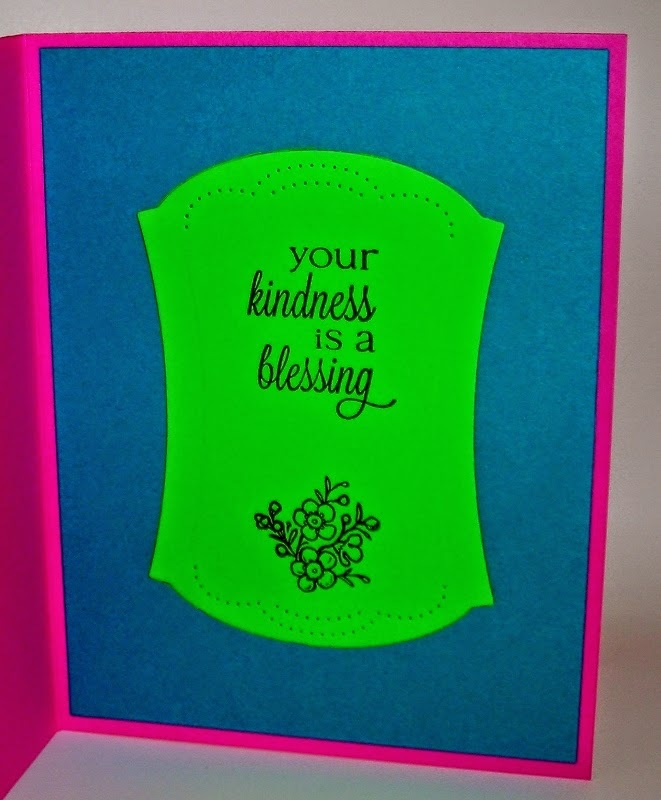 All you need to do is make a box/envelope to match with the same print material. because I knew they would be quickly going out in the mail. I thought this material was so pretty & cheery. along with my Gold Krylon Pen. 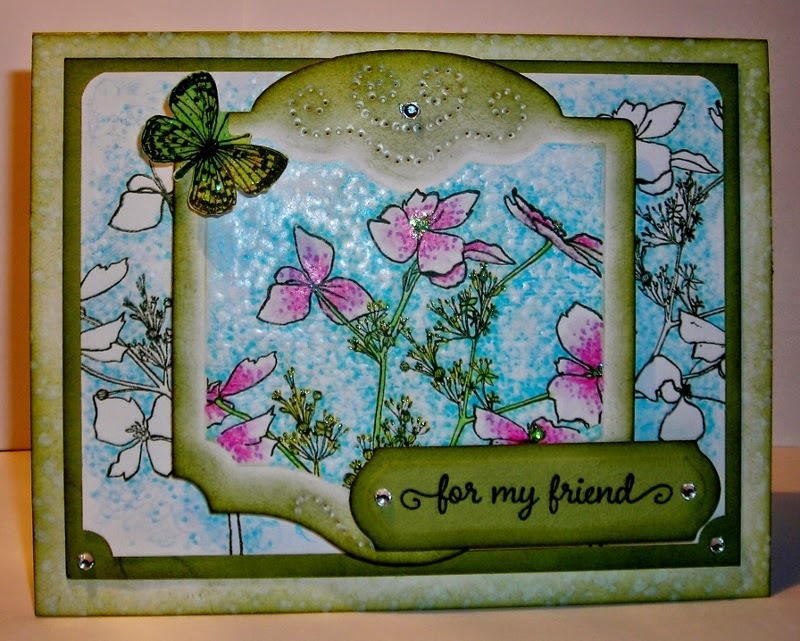 My card is the standard A2 Size- 4 1/4" x 5 1/2". The next layer is 4 3/4" x 3 1/2"- I used my Gold Krylon Pen to color just the edges of the paper. Next is the layer you will add your material to-- 4 1/2" x 3 1/4". The Material is cut at 3 3/4" x 5 1/4"--just a little bigger than the 4 1/2" x 3 1/4" layer. Have these pieces cut, ready to go & laid out--the material face down. then lay the card stock face down onto the backside of your material pieces & press it smooth. Make sure you do this on a piece of old News Paper that you can toss. Then trim off the excess of the material & you have the face of your card ready to go. I added ribbon, attaching it on the back with double sided tape, on one end of the face. I also added a little piece of double sided tape to the back of the ribbon, for the front---so it would attach to the material & not buckle up with pulling it tight to the other side. & Flourishes- Classic Frames Template Die. & added gold dots with my Faber-Castell Gold 250** Pitt Artist Pen. 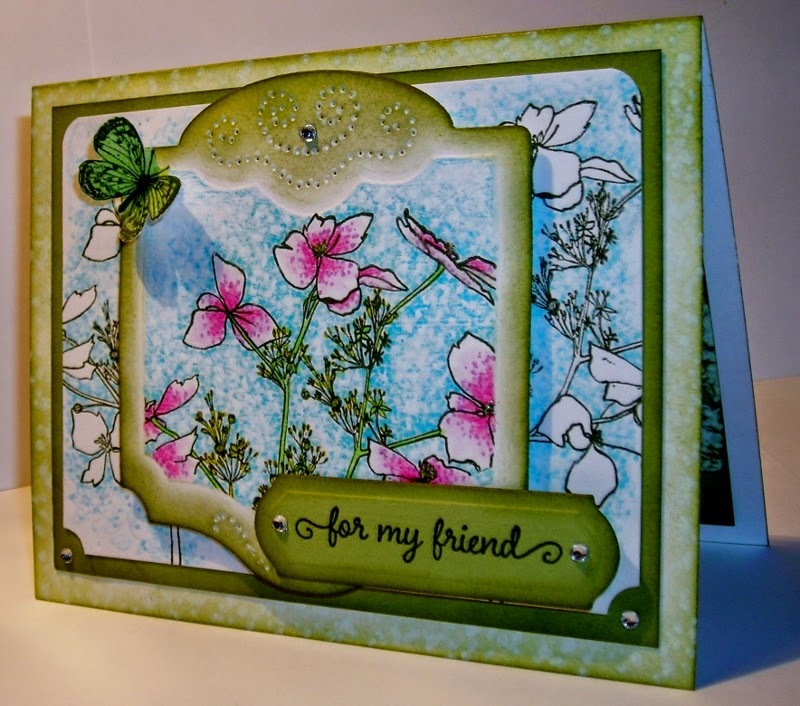 The layer with the material is popped up on Dimensionals & so is the Classic Frames Template Die. 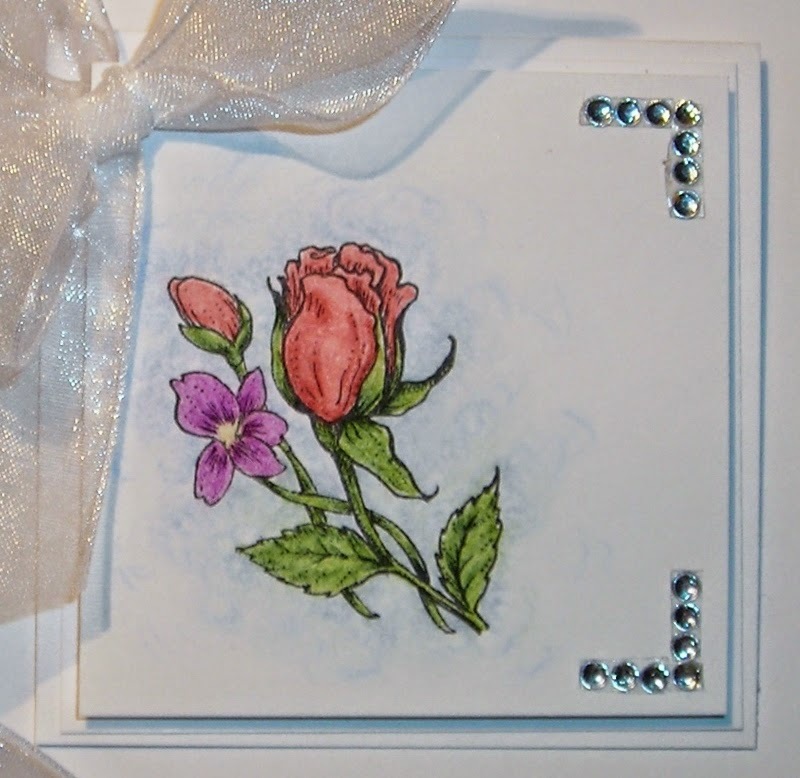 I added 3 little rhinestones-Paper Studio, that I colored Gold with my Krylon Pen. Lastly, I edged the card with my Gold Krylon Pen. I'm sure Jan Marie & Mike will be happy to fill your orders! Keep hanging in there with us. We're still working out some issues. Thanking YOU for your prayers this past week & weekend! Don't forget to call Flourishes if you see anything you like! Seems there is so much to do! for all of their child's friends & their families after Graduation. for such a gracious Hostess! What do you do when you have a gift to give? & a matching Gift Card to go with our gift. 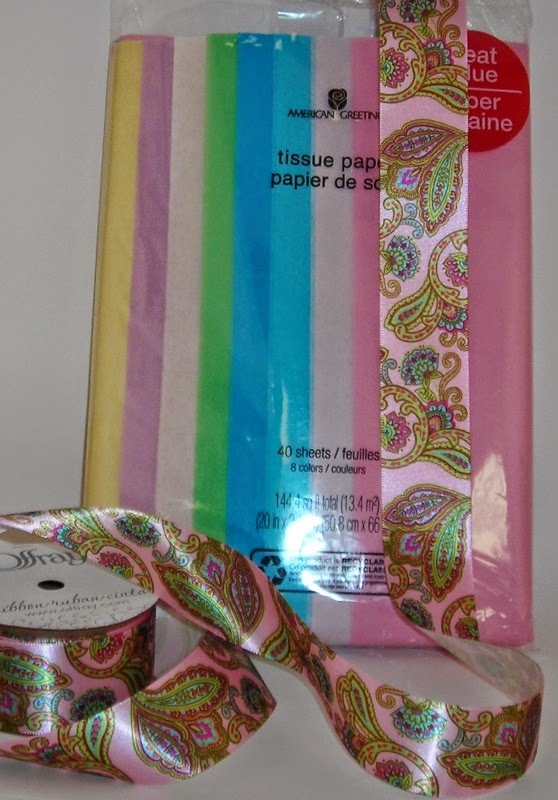 Something as simple as Tissue Wrap! I sometimes, like to use wrapping paper as my inspiration--making everything coordinate. I didn't like the wrapping paper Wal-mart had, so I chose the Tissue Paper. Then I had to find ribbon for the gift wrap. I thought this ribbon looked so pretty! 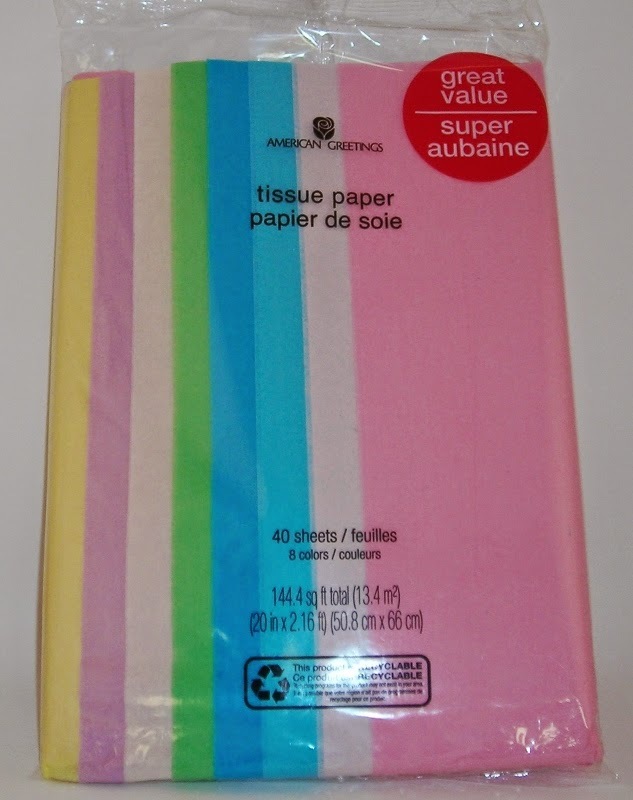 I could nearly use any color in the tissue paper pack to match. I love lots of pretty ribbon when wrapping. I used two of these large spools. 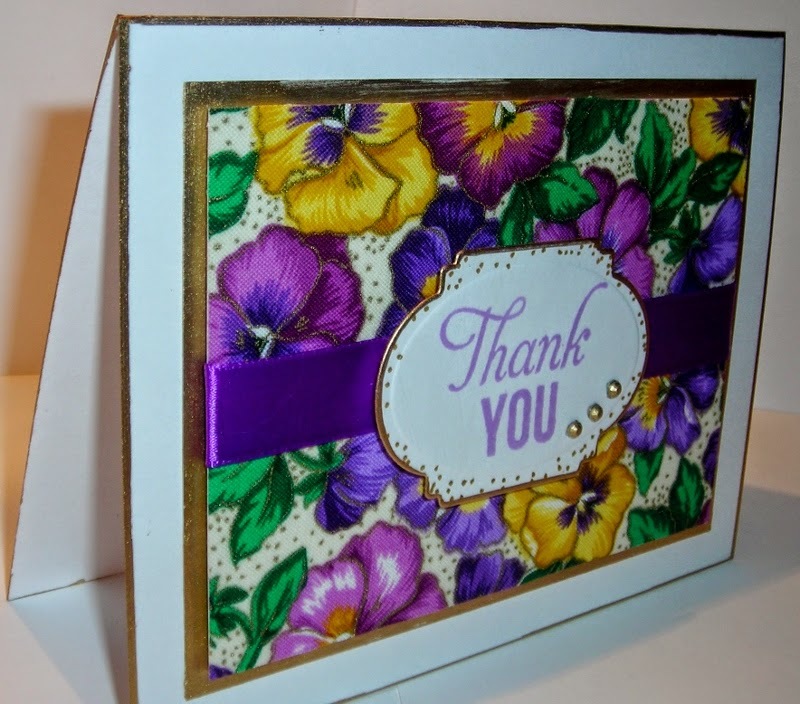 I started with the Thank You Card to be sent after the Cook-Out. and my sketch is from SCS. Yep, I used some of that pretty ribbon on my card. 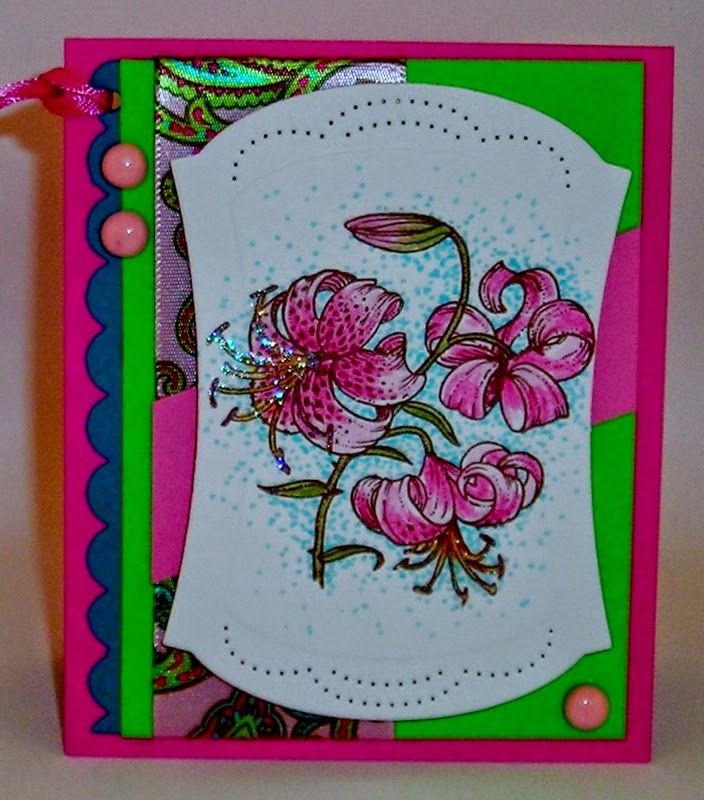 I also used Flourishes- Classic Hourglass Template Die. I colored the image in with Letraset Aqua Markers; I also used Distress Markers, & SU Markers. (I am still working on collecting all of the Letraset Aqua Markers. You can click on the image to enlarge it & you'll see I also used Stickles- Star Dust on the stamen's of these lovely pink lilies. 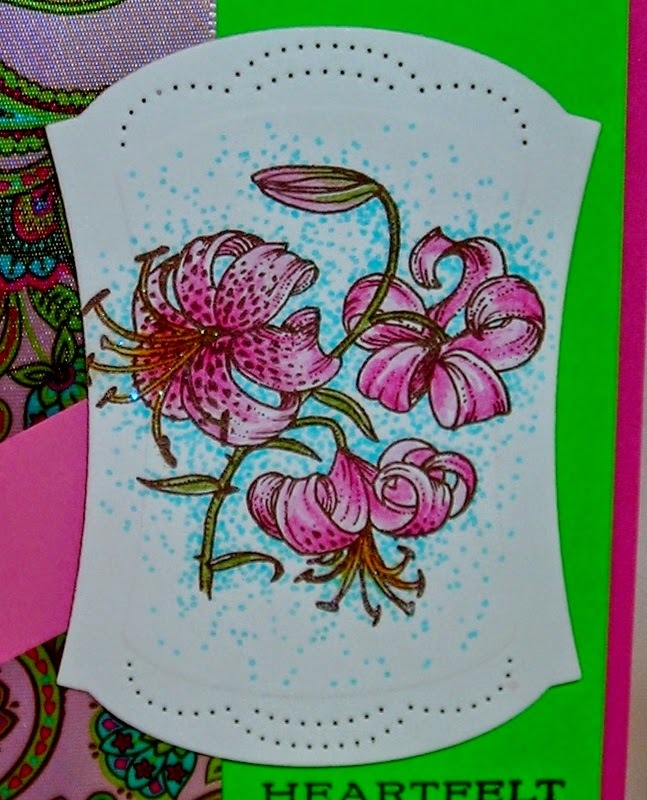 I also used just a little bit of pointillism on the background for the lilies. 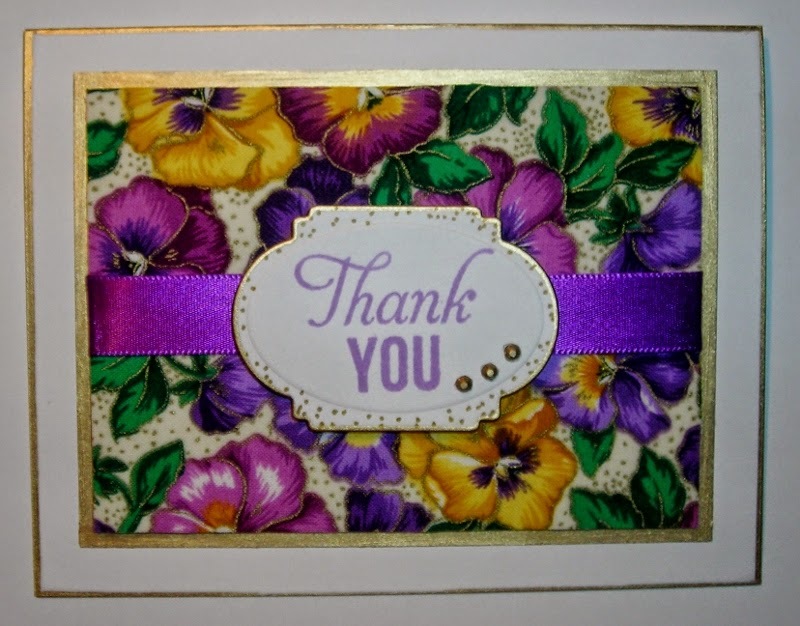 The sentiment I chose for the front on my card is from Flourishes- Picking Wildflowers. 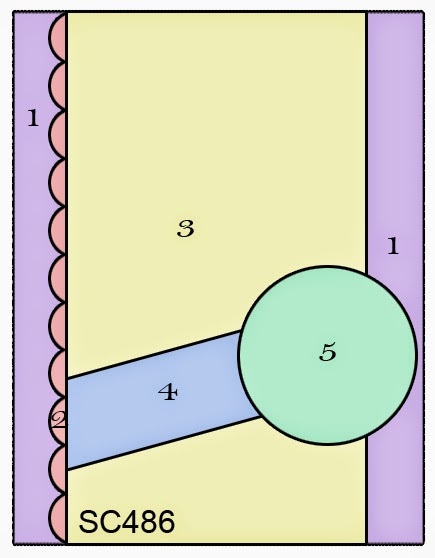 along with the little flower image. Remember, it's a matching tag. I changed the sketch just a little to add interest. I didn't want to hand write "To & From,"
so I stamped this with a stamp I got from a grab bag ages ago. 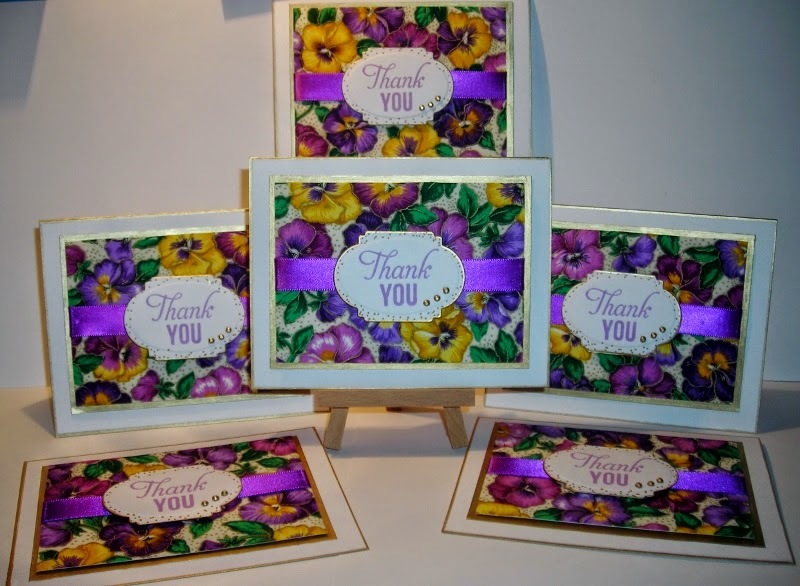 The Thank You card is 5 1/2" x 4 1/4" & the Gift Card is 4 1/4" x 3 1/2". 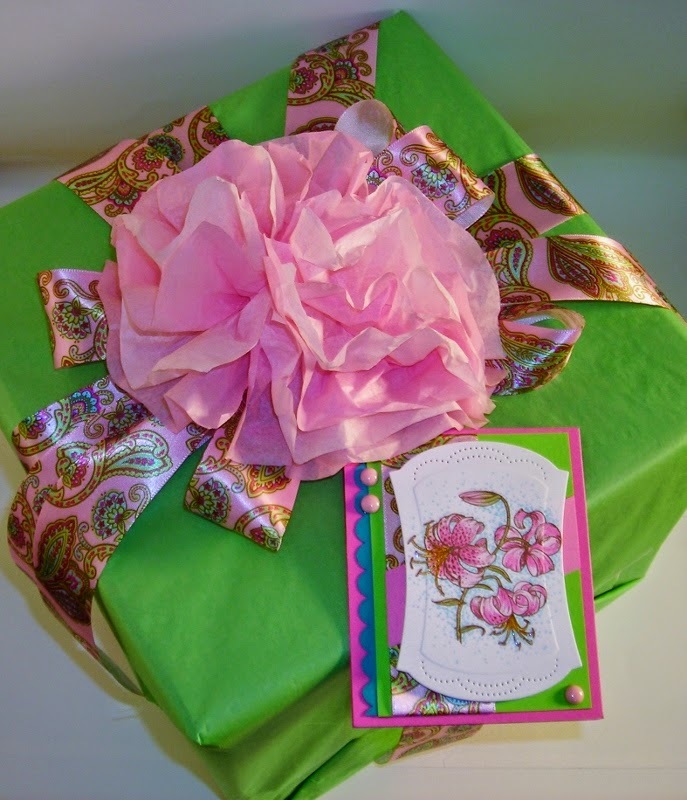 Here you can see how the tissue paper, the ribbon & the Gift Tag all work nicely together. I topped off my gift with a big Tissue Paper Flower. Hope this inspires you if you have some gift giving to do! P.S. 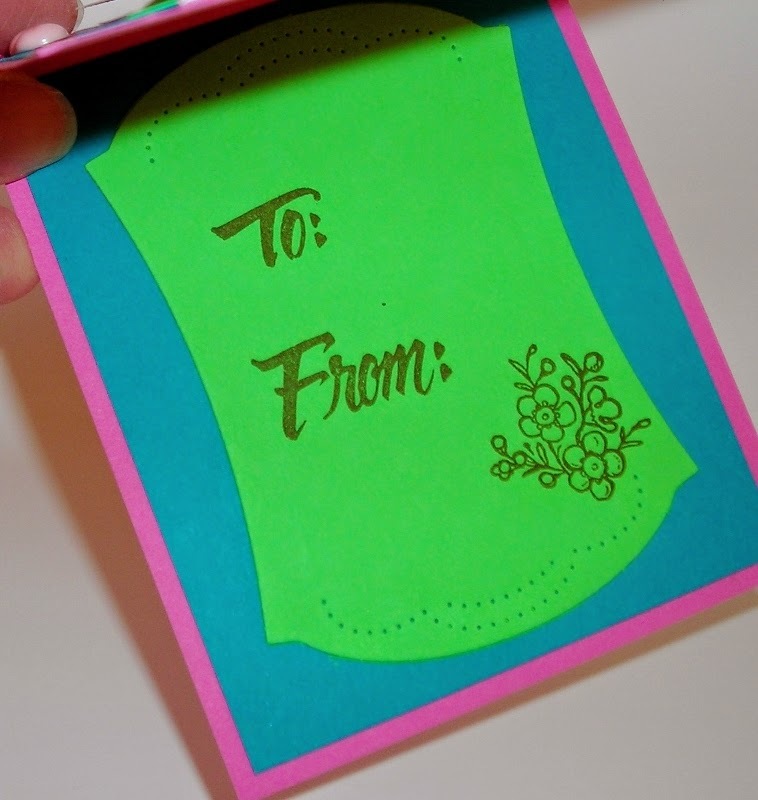 Don't forget to add your "gift receipt" to the inside. you want them to be happy with what they've received. All comments are so appreciated! I love hearing from each of you!